Typical Japanese Home Cooking with Simple Recipes and Easy Methods! Washoku traditional Japanese cuisine is attracting growing attention worldwide. Not only is it tasty, it’s good for health and beauty, too. Today, cuisine is increasingly borderless. More and more people in other countries are making Japanese dishes, adding their own ideas to traditions and customs passed down through the centuries. You can create a new form of Japanese cuisine tailored to local ingredients and tastes, no matter where you may be! 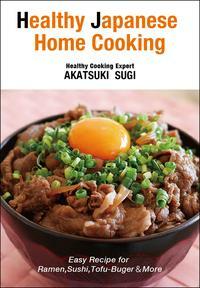 -- from Author, Akatsuki Sugi, Healthy Cooking Expert.